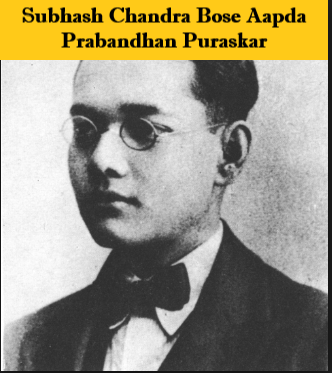 On 23rd January 2019, the Union Government instituted an annual award titled ‘Subhash Chandra Bose Aapda Prabandhan Puraskar’ to celebrate the 122nd birth anniversary of Netaji Subhash Chandra Bose. The award will recognize the efforts of organizations or individuals who work to alleviate the suffering of the affected population in the aftermath of any disaster. Their enormous contribution and selfless service to humanity often go unacknowledged. The award will be announced every year on 23rd January on the birth anniversary of Netaji Subhash Chandra Bose. For the year 2019, 8th Battalion of the National Disaster Response Force (NDRF), located at Ghaziabad, was selected for this puraskar for its commendable work in Disaster Management. The Award recipient will receive a certificate and a cash prize of Rs. 51 lakhs.